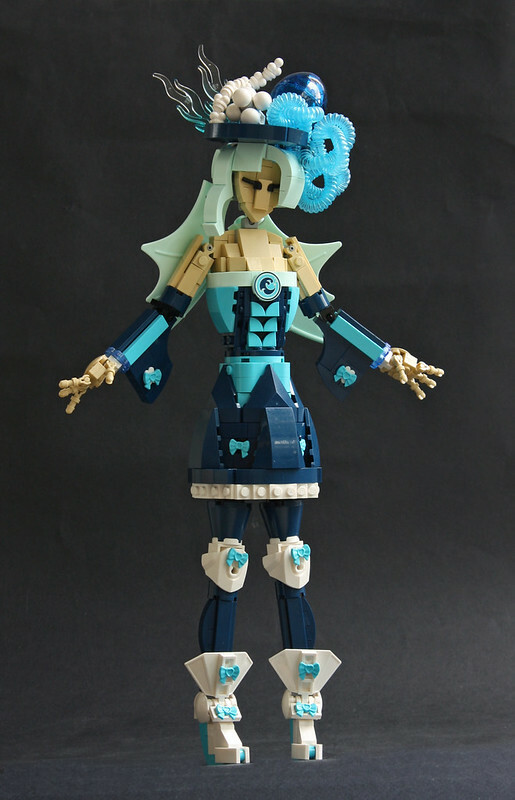 Builder Pate-keetongu is back with the second in his series of goddesses based on the elements. This time it's Kuohu, goddess of streams, waves, oceanic trenches and dew, and she's a beauty. Like his series based on the seasons, each figure is totally unique, and styled in a way that reflects her realm. I'm looking forward to seeing the rest.